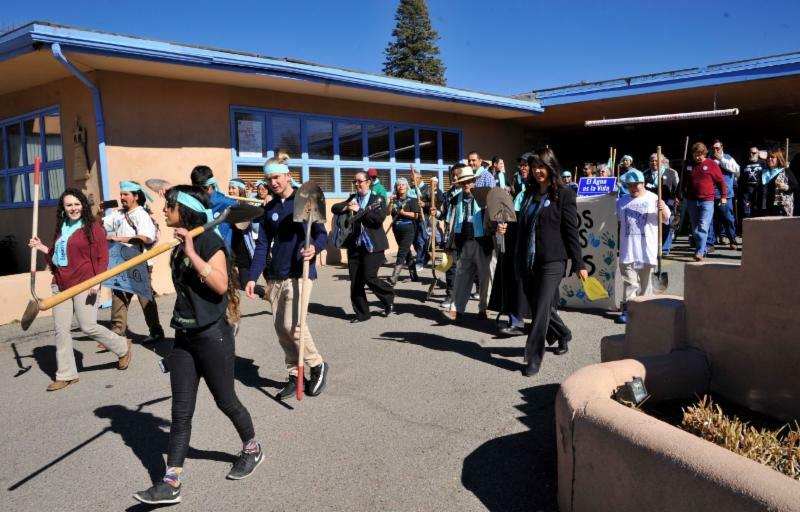 On February 16, 2017 over 200 Acequia leaders, farmers, and advocates marched in celebration of Acequia Day. 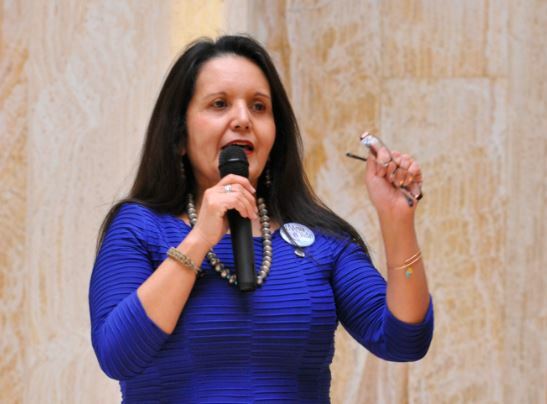 The event honored acequias as a critical system to our cultural heritage and agricultural economy in New Mexico but also to raise awareness about the importance of long-term sustainable water policy. 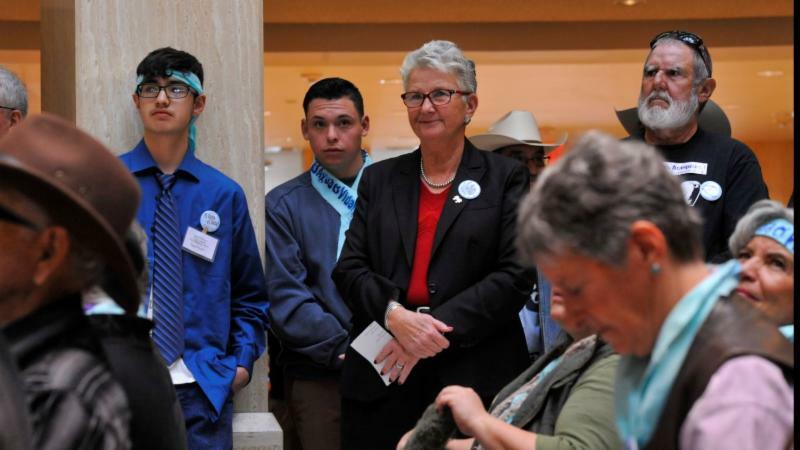 Festivities began with the recognition of 25 regional acequia leaders in the House and Senate whom have successfully completed acequia infrastructure projects, organized acequias who are entering adjudication, and continue to farm and honor land-based traditions of New Mexico. 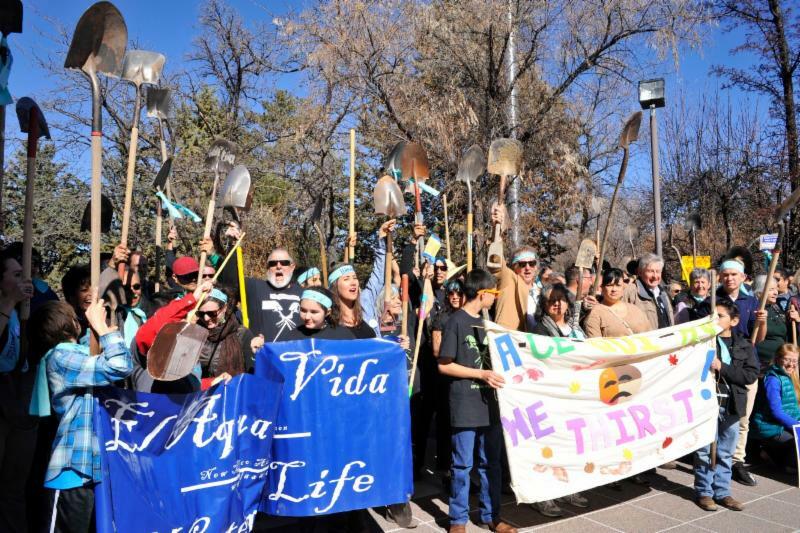 Acequia leaders gathered in unity with their shovels which represent generations of hard work and dedication to maintaining the flows of the centuries-old irrigation system in New Mexico. After honoring acequia leaders, warm food and comradery were exchanged at the Garret's Desert Inn where people prepared themselves for the march to the Capitol. Youth from the Sembrando Semillas program brought energy to the march and spoke during the ceremony about the importance of acequias and their dedication to the continuation of the Acequia culture. 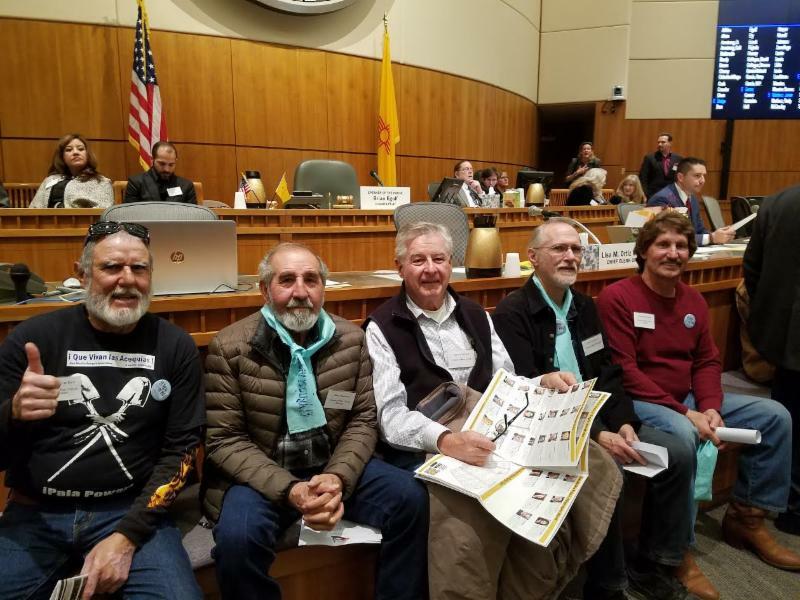 NMAA also recognized Legislators who have been instrumental in appropriating funds for Capital Outlay projects for acequias, in addition to advocating for bills that protect acequia farmers. 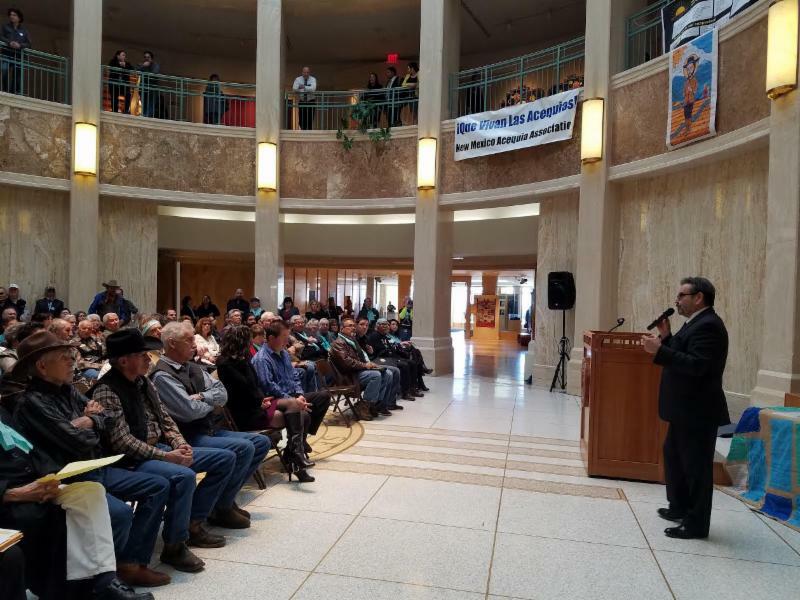 NMAA was happy to have Representatives George Dodge, Debbie Rodella and Senators Carlos Cisneros and Liz Stefanics present at Acequia Day giving short speeches sharing their continued commitment to acequias. Thank you to all our legislators who continue to support acequias during one of the most challenging water generations of our time! 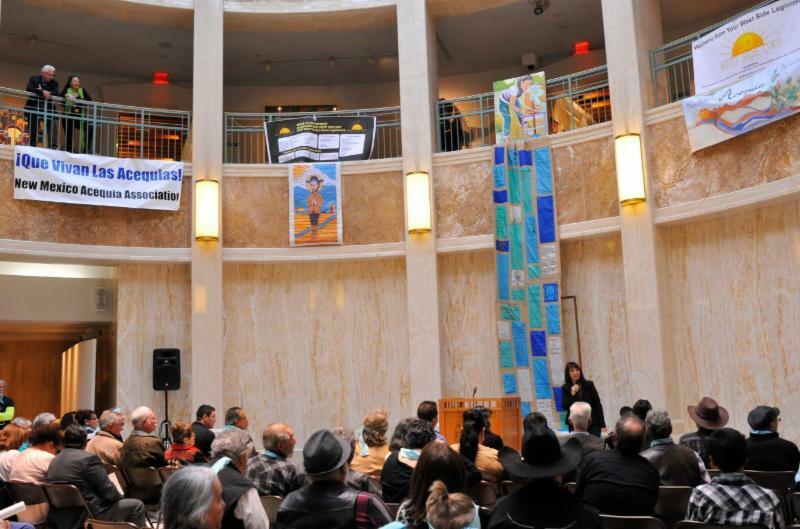 The rotunda rang with poetry, music, and chants for the continuous strength of the acequias across the state of New Mexico. Thank you to all the acequieros who traveled near and far to march with NMAA and your continuous commitment to acequia agriculture! Acequia Funding Opportunity: Deadline Extended!